The staff at The Child Development Center spends a fair amount of time addressing questions based upon information that was ‘discovered’ on the Internet. In general, we are glad to have the opportunity to present our views (about some subjects more than others). For copious concerns and complex knowledge, we ask that parents either 1) stop reading the Web or 2) read TheAutismDoctor.com. This story covers the ‘complex knowledge’ category. I am frequently asked by friends, family and other professionals whether ‘this’ medication or ‘that’ preparation is OK to take, either while pregnant, or when breastfeeding. The first thought that comes to my mind is, “What’s the difference?” There might even be danger from drugs given prior to pregnancy, for that matter, since some chemicals and toxins can build up in the body. Aren’t the fetuses and breast-fed infants exposed to the same products as their mother? Recently published studies present widely varying viewpoints about the safety of medications given to women. An article appearing in the recent journal, Pediatrics, entitled “The Transfer of Drugs and Therapeutics Into Human Breast Milk: An Update on Selected Topics” was presented in the popular media as, “Most Medications Safe For Nursing Mothers: Report.” I read the actual report, and that’s not how I interpreted the information. The amount of a substance that gets excreted through the milk, the safety of that quantity, the specific effects upon the infant (depending on factors such as age and size), and the lack of information about long term consequences are complicating factors. So, too, is the desire to encourage breast feeding in third-world countries where contaminated water may make formula a poor choice. Then, there is the general emotional reaction to breast-feeding and evidence of the nutritional value of human milk. An updated CDC report warned, “We do not have enough information about the effects of many medications when they are taken by pregnant women… Pregnant women usually are not included in these tests because of the possible risks to the unborn baby. As a result, little information is available about the safety of most medications during pregnancy… It is important to know that dietary and herbal products also could be harmful to an unborn baby or have other side effects when used during pregnancy.” Even food may be bad for the baby, in that government publication. The point is, medical science is not certain about safe levels of most drugs administered to women in the child-bearing years. Alcohol has been around a great deal longer than Prozac, and it’s generally not recommended during pregnancy or breastfeeding. Is the stress that women feel today more intense than that in 1940? I do not wish to stick any parent with guilt that their medication may have led to a developmental problem in their child. You have that thought, anyway. I wish to ease parental responsibility by proclaiming that any blame belongs to the medical community. Patients get advice from their doctors. I am a neonatologist, so I comprehend the importance of breast-feeding. However, I do not agree with the AAP position regarding risks and benefits, since there are so many unknown risks, and results can be dire. If a woman is suffering from a medical condition that clearly requires medication that eases suffering or disease, there should be little problem, other than choosing the lowest dose and safest drug that achieves an acceptable result. Otherwise, how about this advice, “None of it is proven safe. If you can possibly bear to take less medicine before, during and after a pregnancy, you will feel better in the long run.”? 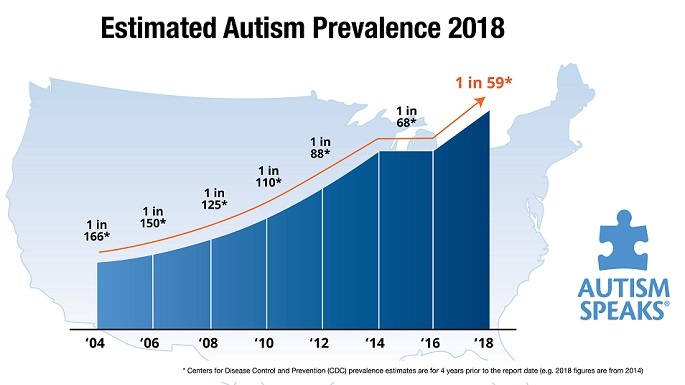 This entry was posted on Sunday, September 8th, 2013 at 1:17 pm	and is filed under >ALL<, AD/HD, Alternative and Complementary Medicine for ASD, Autism Therapies, Chelation, Diets, News-Maybe-Worthy, Patient experiences, Reversing autism. You can follow any responses to this entry through the RSS 2.0 feed. You can leave a response, or trackback from your own site.